My story is about learning to give all of yourself to one thing and to not spread yourself too thin. It was 1995, and I was on Broadway playing Laertes in the hit production of Hamlet. Ralph Fiennes, who was playing Hamlet, was at sort of the height of his fame. All of us young British actors lived two lives in New York. Our public face was hardworking British thespians performing Shakespeare on stage by day, and at night we availed ourselves of all the pleasures New York has to offer. It became our playground. Sometimes I wouldn’t get to bed until 6 in the morning, and then wake up at 12 and stagger to midtown for a matinee. As the production went on, I was enjoying myself in New York far too much. It was like a rite of passage for a 25-year-old Englishman. Halfway through the run of the play, it was clear that New York was winning over Hamlet, and I was getting more and more tired. In this play we had the famous duel between Hamlet and Laertes, and ours had been choreographed by the legendary Bill Hobbs, who had staged the great fights for The Three Musketeers and for The Duellists, among others. One night the duel, which we were doing with these big sabers, was going particularly fast, and after Ralph went to thrust, I had to parry. I didn’t parry with enough resistance, and the pommel rebounded onto my eye. As the sword hit me, I knew instantly that something bad had happened, but I couldn’t see anything. My eye and cheek felt wet. Poor old Ralph turned back toward me and saw blood rushing down my face. The audience started to talk, “Oh, my God, how did they do that, what an effect, how extraordinary!” Meanwhile, Ralph is still finishing his speech, looking at me with those wild, staring eyes of his. He comes up close and whispers, “Are you OK?” I look at him and say, “I have no f--king idea. You tell me!” We decide not to stop the show, and at the end, I am whisked off to the hospital, where I get five stitches on my eyebrow. The lesson I learned is that sometimes the task you have at hand needs all of your concentration and focus. I’ve always had a “Work hard, play hard” attitude to life—I still do—but sometimes you get involved in something that needs a calm, methodical approach. That can be hard when you have a “dual” personality. Gets injured while playing the role of Laertes in Hamlet. Receives Golden Globe nomination for Steven Spielberg&apos;s Band of Brothers. Stars in the acclaimed British miniseries The Forsyte Saga. Appears opposite Keira Knightley in a West End production of The Misanthrope. 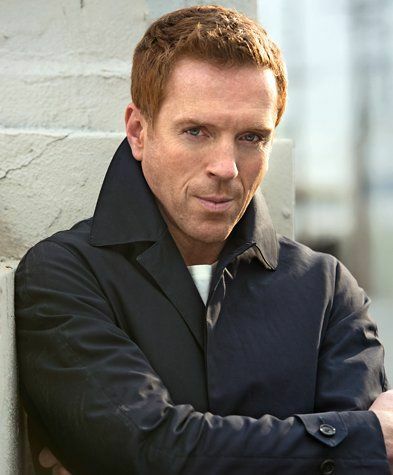 Returns as Nicholas Brody in the second season of Homeland, debuting Sept. 30.